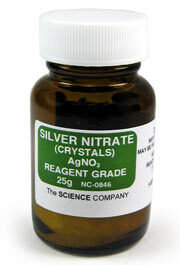 Reagent Grade Silver Nitrate AgNO3, 25g for sale. Buy from The Science Company. Silver nitrate crystals are colorless, transparent flakes, becoming gray or grayish-black when exposed to light in the presence of organic material. Wear rubber gloves when using as it leaves a dark spot when it touches the skin. 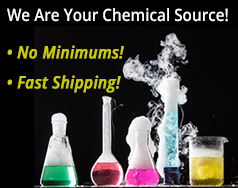 It is a strong oxidizing agent and corrosive. Also, silver nitrate is soluble in water, glycerine and hot alcohol. Combine with sodium thiosulfate to make silver thiosulfate. A solution of silver thiosulfate is often used to prevent flowers from falling off of potted plants while in transport from a nursery to a retail store. It is also used to promote production of male flowers on female plants. 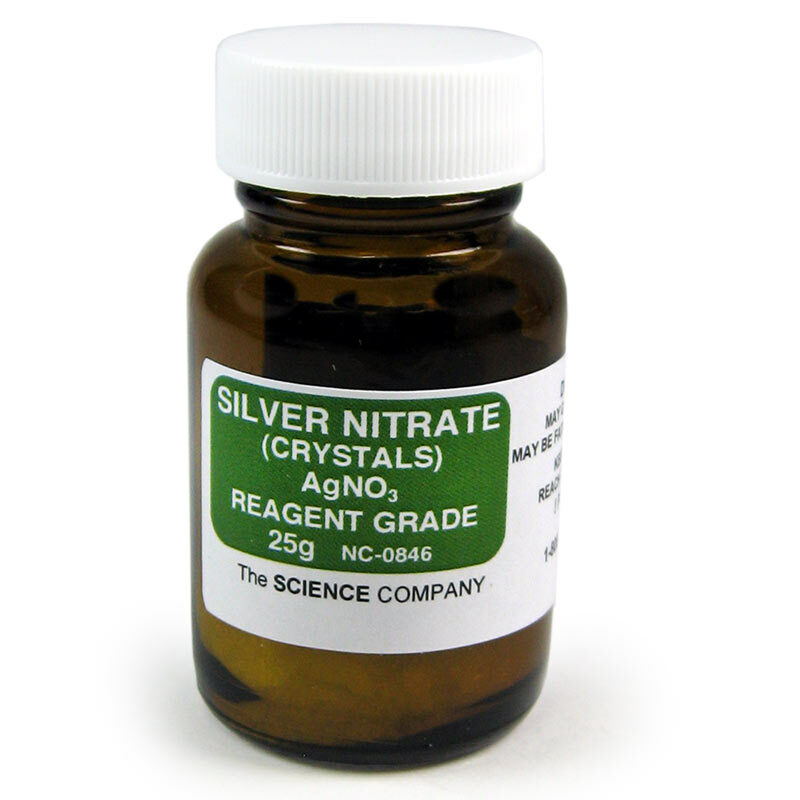 Silver nitrate is also commonly used in photographic film, in silver plating, in gold raku pottery glazes, and as a laboratory reagent. Click to see how Silver Nitrate is used in our formulas for Photographic Van Dyke Brown Process. Insoluble matter: To pass test. Free acid: To pass test.